Today we'd like to tell you about the contents of our thematic strands Modern Classical Music and Music Marketing. Here we’re looking forward to speakers such as Live Nation’s Senior Vice President of Marketing, Jackie Wilgar (GB), Richard Leach (GB), Soundcharts’ CEO, David Weiszfeld (FR), Lorna Aizlewood (GB) from HarrisonParrott, the world’s leading classical music management company, and orchestra conductor Joolz Gale (DE). We’ll also look at the session programme of the International Sound Awards and the events being hosted by various partners, such as Hifi Klubben, France, and K7. In the past, pop and classical music were separate ecosystems. Nowadays, things are different. At Music Management 3.0 we discuss how to manage both worlds with Lorna Aizlewood (COO & General Counsel, HarrisonParrott, GB), Mark Stephan Buhl (CEO, Artists Management, AT), Christian Kellersmann (Consultant, DE), and Justus Wille (Production Management, Konzertdirektion Dr. Rudolf Goette, DE). 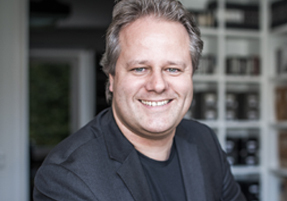 Dr. Matthias Röder (Karajan Institute, AT) will make the argument that AI Is The Future Of Music in his talk. And in two sessions under the title Beyond Classical And Pop orchestra conductor Joolz Gale (DE), journalist Mischa Kreiskott (DE), and artists Joep Beving (NL) and Peter Gregson (GB) will discuss the new interest in the classical-pop genre-mix. We’re very much looking forward to hearing from a wide-range of experts at our ten sessions devoted to new developments in music marketing. Live Nation’s Senior Vice President of Marketing, International, Jackie Wilgar (GB), will do a keynote interview. Stagelink’s Nikolas Schriefer (DE), Soundcharts’ David Weiszfeld (FR), and WARM’s Jakob Skibsby (DK) will speak about Monitoring Tools. 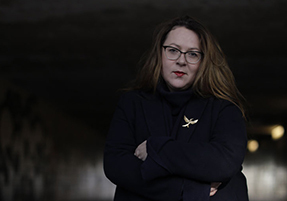 Independent playlist curator Aleksandra Skwarc (Musique Couture, DE - photo) and Director of Global Digital Sales & Strategy for ADA, Richard Leach (GB) (who will talk about Indie Mixtape) discuss playlists in our session Choice Selectors. Other topics/sessions include influencer marketing and current social media trends like Instagram Or Musical.ly?, messaging in Getting Conversational, and strategies for Smart Music Cities. To create an oasis of calm contemplation in hectic urban sprawl – that’s what the 7K! listening booth has been built for. Inspired by the Baltic Sea, from the design of the beach house to the acrylic paintings on the windows, the 7K! 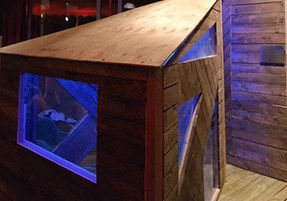 listening booth invites you in – take a moment and get away from the boisterous world of the Reeperbahn, meet up with friends, and enjoy music by artists on the 7K! label: Niklas Paschburg, Luca D’Alberto, Echo Collective, Henrik Schwarz & Metropole Orkest, Maike Zazie, Hior Chronik, and Martyn Heyne. You will find the 7K! Listening Booth on Friday, 21 September in the Garden of the East Hotel. 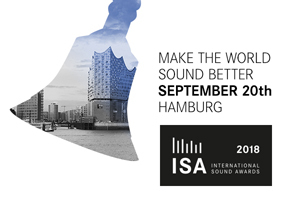 The International Sound Awards will take place during Reeperbahn Festival, on 20 September at Gruenspan. By awarding and promoting smart, innovative and useful sound concepts and sound solutions the awards draw attention to the relevance of sound in modern everyday life. A selection of nominees will have the chance to present their projects to the audience in more detail the day prior to the ISA2018 awards ceremony, on Wednesday, 19 September. Among those presenting are Mood Stockholm, Djingo – AI Plays A Role, Hyundai Olympic Pavilion Sound, and Renault Symbioz Sound Design. The selection of the projects was made by the Audio Branding Academy and independently of the jury’s evaluations. Reeperbahn Festival's partner country in 2018 is France. Within this focus Le Bureau Export is organising two matchmaking sessions for French and international professionals on 20 – 21 September. Sign up here. The Meet the French reception by Le Bureau Export will be a networking highlight! Join them for drinks and finger-food on Thursday 20 September at Schmidtchen - RSVP here. Check out all French related activities at Reeperbahn Festival, and listen to the dedicated What the France - playlist! Music has never been more readily available, mobile or cheaper than today. But why is vinyl, the most sophisticated and resource-demanding medium of modern music, looking at a hype-like rise in popularity lately – especially in the younger ages? Jakob Kranz (DE) from Europe’s biggest media pressing plant Optimal Media will try to answer this question in the session Understanding the Culture Of Vinyl and give insights on the industry of vinyl. The showcase Korea Spotlight presented by KOCCA, features the music acts Se So Neon, Life & Time, Love X Stereo & Rock N Roll Radio. Join the Koreans on 20 September at Spielbude for the networking party & the official live showcase!